The demand for coconut oil continues to rise as more people discover its uses and benefits. 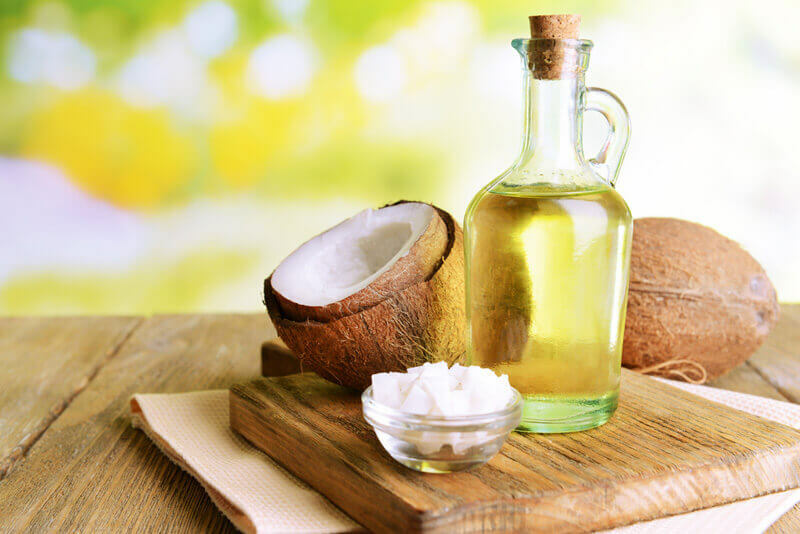 Scientific studies continue to present new ways coconut oil is useful and beneficial for our health. It has a positive effect on weight loss, metabolism, skin health and digestive health. Best of all, coconut oil is great for cooking. Professional chefs and home cooks use coconut oil as an ingredient in all their favorite recipes. It’s great for frying, blends well with other ingredients, and does not overpower the dish’s flavor and taste. Coconut oil can be used on our hair and body, too. It works great as moisturizer for both body and face. Women use coconut oil to deep condition and revive damaged hair. The uses of coconut oil don’t end with our bodies and the food we eat. It has many uses at home and in the kitchen. Remove Stains– Mix 1 part coconut oil with 1 part baking soda. Apply to stain on fabric and carpets, wait a few minutes, and wipe off. Polish Furniture – Combine ¼ cup melted coconut oil, 4 tablespoons distilled white vinegar, and 2 tablespoons lemon juice in reusable spray bottle and shake well. Spray on wood furniture and wipe with clean cloth. Remove Gum – Apply oil to gum, wait a few minutes, and remove. Remove Adhesive (from plastic, glass, wood, and other surfaces) – Apply oil on top label or stickers, then let it sit before wiping it off. Fix Squeaky Hinges – Dab coconut oil on a noisy hinge. Clean Bathtubs and Showers – Combine coconut oil and baking soda to form a paste. Apply a thin layer on soap scum/mildew and wipe clean. Crayon and Scuff Removal (from walls) – Apply coconut oil to a clean cloth and wipe away. Fire Starter – Soak a few cotton balls in coconut oil and add to kindling wood. Season a Cast Iron Skillet – Simply coat cast iron liberally with coconut oil. Put pan in a cool oven and turn it to 300 degrees Fahrenheit. Leave skillet in oven for 30minutes after it reaches the set temperature. Let skillet cool in oven after turning it off. Return the Shine to Stainless Steel Appliances – Rub a small amount of coconut oil in circular motion on the surface of refrigerator or stove. Remove excess oil with clean dry cloth, rubbing in same direction of the grain to create a spotless shiny surface. Remove Sticky Food from Spoons – Spray coconut oil into measuring spoon/cups before measuring honey or sticky foods. Condition and Sanitize Wooden Cutting Boards or Wooden Spoons – Rub a small amount on the items. Prevent Stains (e.g. tomato sauce) on Plastic Containers – Rub the inside of the container with coconut oil before adding food or other ingredients. Grease Pans and Muffin Tins – Spray cake pans and muffin tins before adding batter. Remove Caked on Residue after Baking – Apply coconut oil on baking sheets to remove residue after baking. It’s best to use organic, extra virgin coconut oil, which is safe and non-toxic. Start using your coconut oil now! Also, add Perfect Flush as a cleanse and detox. Nadine is a wandering writer and blogger. She loves travelling and exploring new places, and finding hole-in-the-wall dining places. As a wannabe cook, she loves discovering new recipes and ingredients, like the versatile coconut oil (and yes, she uses it on just about anything and everything). On lazy days, Nadine spends time at the beach with her fur-babies, Pepe and Pido.